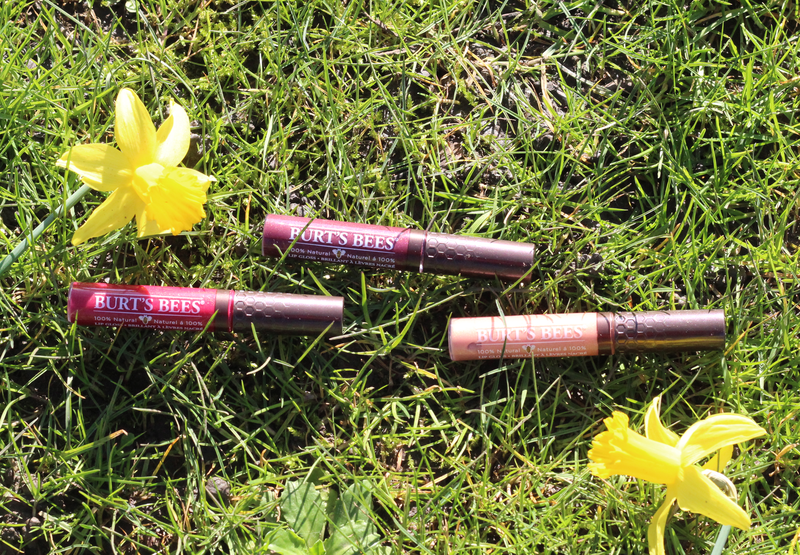 Following on from my post about the Burt’s Bees Lip Colour launch event, I have trialled the products and as the sun was shining yesterday I even managed a quick grassy photo for you. The first product I instantly grabbed was the ‘Autumn Haze’ lip gloss, I love gold/bronze tones so this was my preferred choice out of the glosses. The purple product at the top, ‘Starry Night’, didn’t quite work for me. If you are braving purple lips it needs to be a solid colour and unfortunately this came out as quite a watery tone. The final gloss I tried, ‘Summer Twilight,’ is a rosy/red tone so a safe but really pretty option. These are available in a whopping twelve shades. 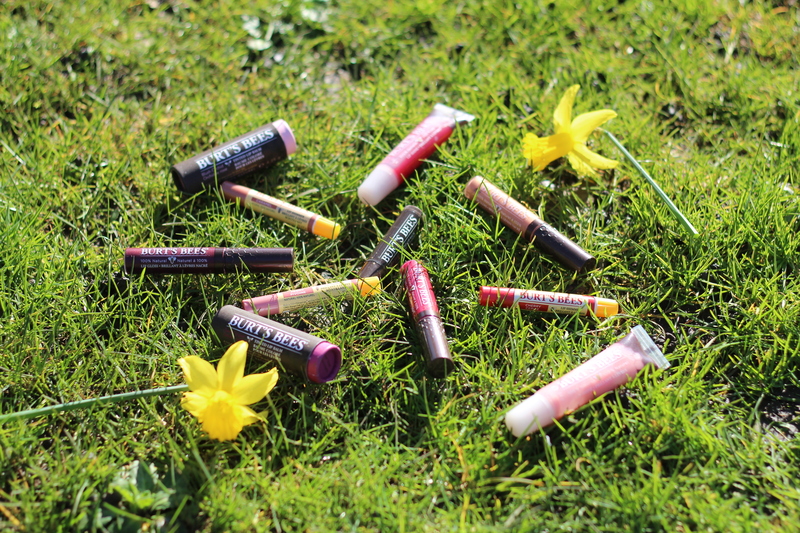 The apty named ‘Pucker’ lip shine smells deliciously fruity and absolutely drenches your lips. They contain citrus oils, feel really hydrating and give you an irresistible wet lip look. The second lip shine in the picture (on the right) is called ‘Whisper’ perhaps because it is a very subtle…quiet shade? I’m not a fan of the texture but that’s only because I’m not a massive fan of gloss and this is about as glossy as it gets. These are available in six shades. 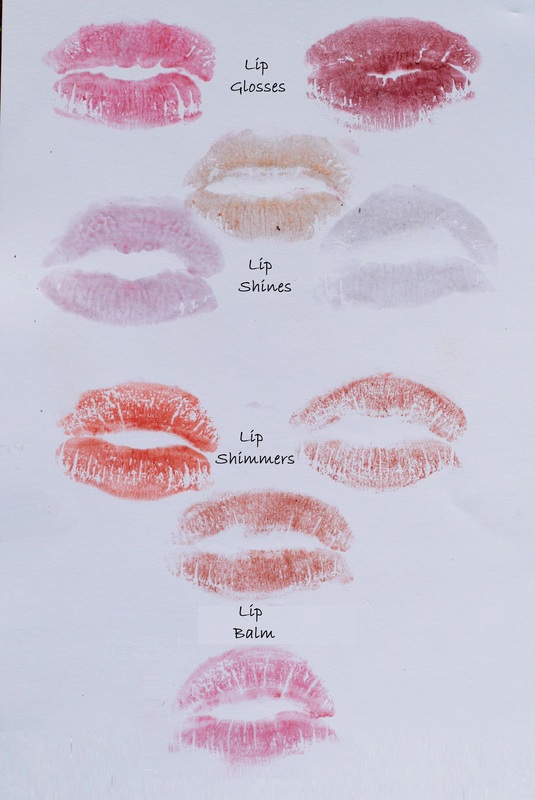 These lip shimmers have a moisturising Shea Butter base, as well as a surprise peppermint oil, which makes your lips tingle. The more you apply the product the bolder the colour becomes. These products provide a pearlised shimmer effect and are available in eleven shades. My favourite, out of the three above is ‘Cherry’, which you will see on my colour chart later on comes out as more of an orange shade, very on trend right now! 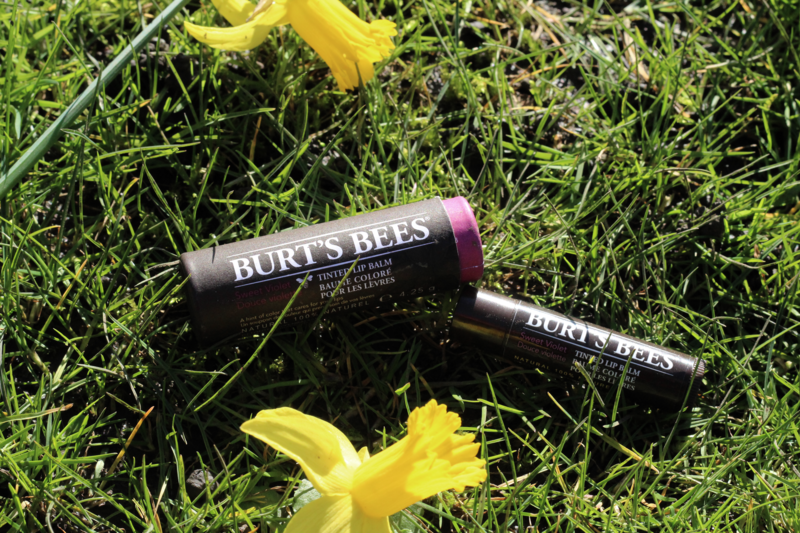 The Burt’s Bees Tinted Lip Balms are my favourite out of the four product types in the range. These are the most nourishing and really do just glide on to your lips. They contain Botanical Floral Waxes ylang-ylang and jasmine and again smell really yummy. 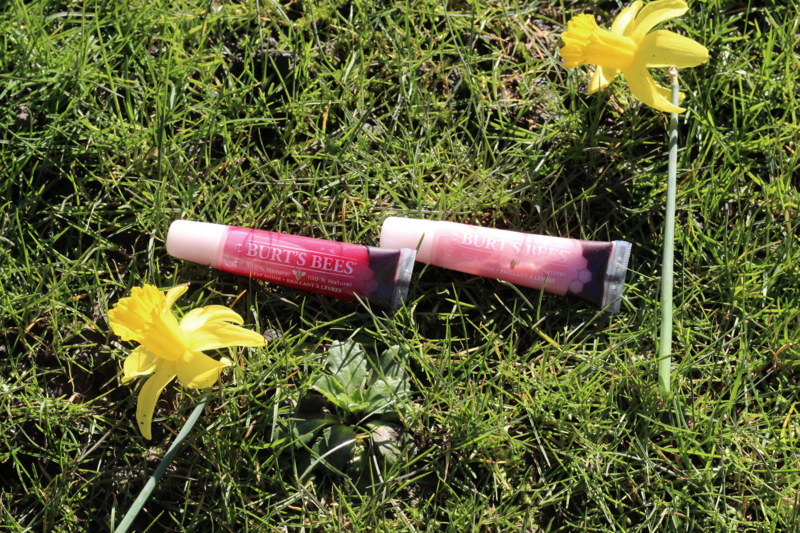 The light formula makes your lips super soft and the tinted colour provides a hint of colour. These are available in nine shades. You don’t have just opt for one product they work so well together, my suggestion would be a lip shimmer under the lip gloss for that extra oomph. 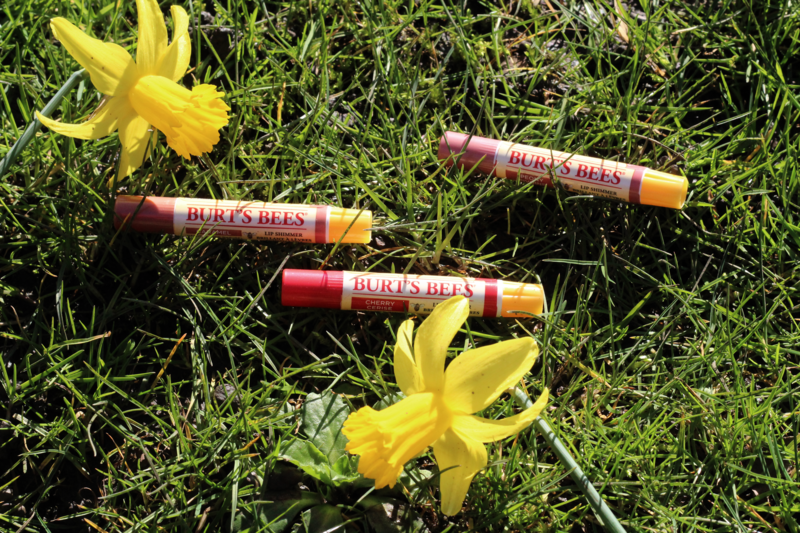 Which are you favourite Burt’s Bees Lip products?